Apple Season = Apple Pie! I love, love, love the month of October. The fall colors emerge on the trees, we break out the sweaters and apples are everywhere. 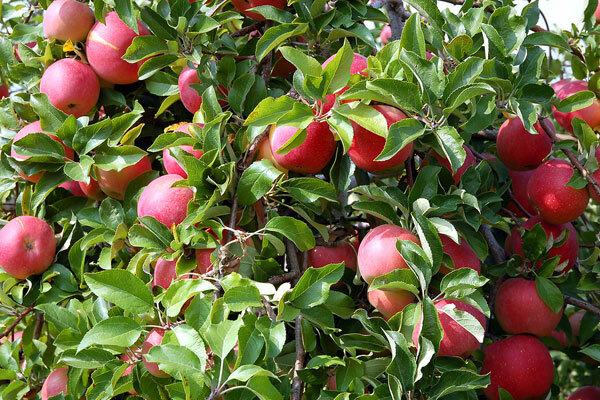 I have fond memories of apple picking almost every fall with my family at a local orchard. Shopping in the country store at the orchard for apple cider and apple butter were always favorites of mine. My aunt, usually the coordinator of the outing, would call ahead and reserve at least one apple pie for herself. I however, was always partial to my mom’s apple pie which I usually got to have after this outing too. To inspire you to enjoy an apple pie; I have two books and a recipe for you this week. 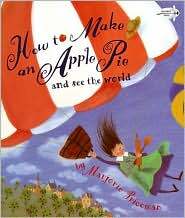 First up is How to Make an Apple Pie and See the World by Majorie Priceman. If the grocery store was closed, where could you go to find the ingredients needed to make an apple pie? Around the world of course! Throughout the book, you will stop in Sri Lanka for the cinnamon, Jamaica at a sugar plantation and Vermont for the apples. As your trip circles back home, you are guided to put all the ingredients together to build that yummy apple pie. The book even includes a simple apple pie recipe at the end. Next up, is a newer release. 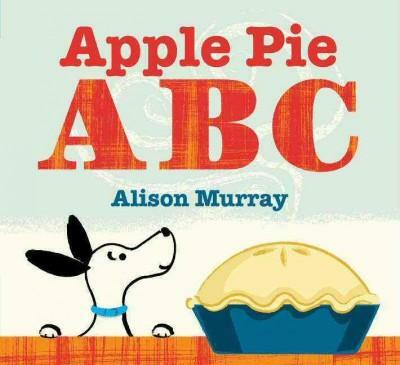 Apple Pie ABC by Alison Murray. Here we have a dog who pawns over a freshly baked apple pie. Will he end up with a slice? The illustrations are crisp and clever. The descriptive words will leave you salivating yourself. So, you have two great books to share about apple pies. Now, how about my mom’s apple pie recipe? Get ready, get set, bake a pie! Combine flour and salt. Combine water and oil. Mix together with a fork. It will form a ball. Roll out between two sheets wax paper. Wet surface of counter to hold wax paper in place. 1. Prepare above pastry. Fill (pile high) with 7 large sliced granny smith apples and sprinkle with 2 TBSP lemon juice and 1/2 cup raisins. 3. Blend 1/2 cup firmly packed brown sugar, 2 TBSP flour, 2 TBSP butter. Mix in 1/4 cup pecans and sprinkle over filling. 5. Bake at 350 degrees for 1 hour. Add a little or not so little scoop of vanilla ice cream and enjoy! I think I see that apple pie in my future. Maybe there is a book in your future about where we get the ingredients for eclair squares.